This is an interesting OEM sound card from HP. The triangle shape is unique and it uses the PnP AZT2320 Chip. This sound card works out of the box, it won't need any drivers or software to work. However I do recommend setting up the software so that you get the SET BLASTER variable as well as properly configured mixer. The FM quality is outstanding, they either went with a real YAMAHA OPL3, or an identical clone. The Sound Blaster sound however is disappointing, sounding distorted and scratchy. 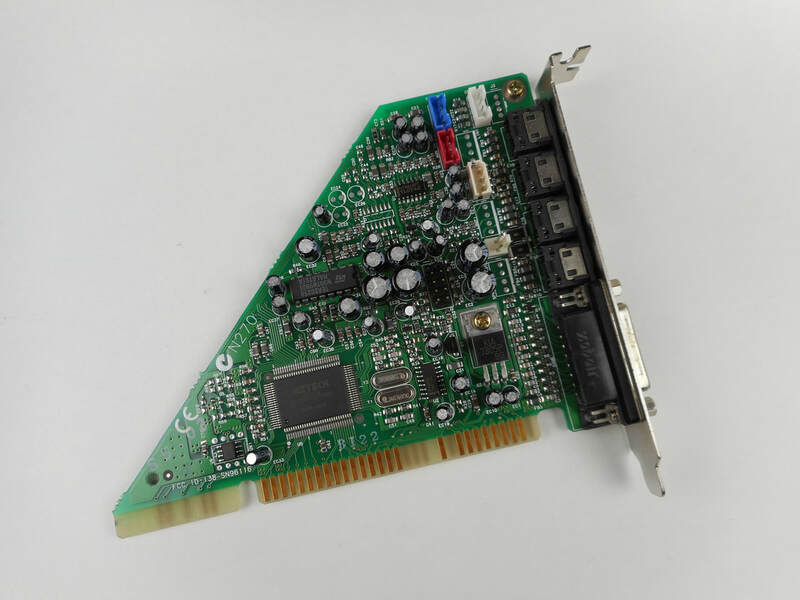 There is no wavetable header, but the card has a MPU-401 MIDI interface (joystick port) that is bug free. The general impression of the sound is very raw and unfiltered. There is some background hiss, but it's very faint and shouldn't be audible at comfortable listening volumes.